Spanish general election 2019: Who are the candidates and what are their manifestos? The Spanish general election is set to take place on April 28 after weeks of hard-fought election campaigns. According to a recent survey by Spanish public research institute CIS, four-in-10 voters are not yet sure who they will vote for, lost in a sea of information from various parties. Here are the key candidates and what they stand for. The current prime minister is, according to pollsters, favourite to win the elections. 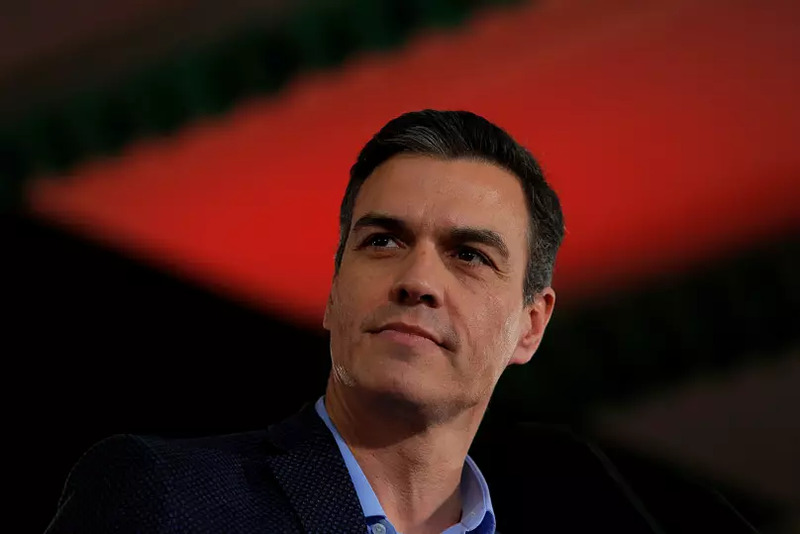 After seizing power when PSOE filed a successful no-confidence motion against former leader Mariano Rajoy, Sanchez aims to prolong the party's time in office, if possible with a sufficient majority that does not put as many obstacles in his way as in recent months. The polls currently show the Socialist Party looks set to gain between 123 and 138 seats out of a possible 350. 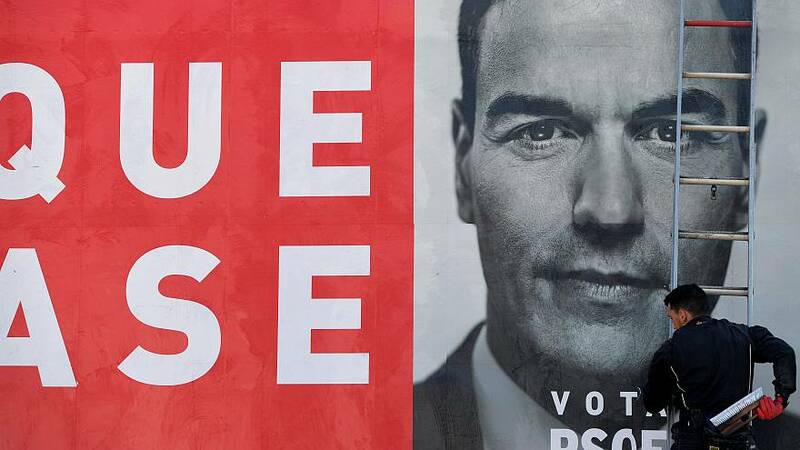 Key ideas: PSOE's manifesto promises to fight against social exclusion and inequality. As for the Catalan question, the party favours dialogue with independentists, although it has made clear that it will not allow an independence referendum under any circumstances. Possible alliances: Sanchez could form a government with the support of Podemos — a left-wing party — and independentist parties. He might also consider an alliance with Citizens (Ciudadanos), but never with the People's Party (PP) or VOX. At 38, Pablo Casado is the youngest presidential candidate in the history of his party. The polls, however, aren't looking favourably on him, predicting he'll take home 66 to 76 seats in Congress. This would be the worst result for the PP in over three decades. Key ideas: The PP is in favour of Spanish unity and supports the use of Article 155 of the Constitution — enforced and direct rule imposed over Catalonia — if necessary. 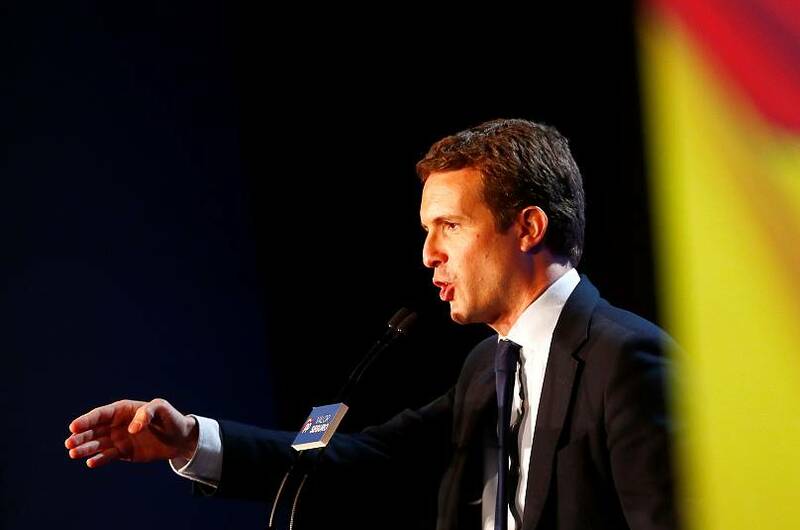 Among his more controversial ideas is Casado's position on abortion, which the party has preferred to keep out of the spotlight in recent weeks, and his stance against the exhumation of Franco, a former Spanish military dictator, from the Valley of the Fallen. The PP also promises a significant reduction in taxes, to reevaluate pensions, and wants to get closer to “the empty Spain” — the "abandoned" part of the country, suffering from depopulation. Possible alliances: The PP wants to claim the most votes of all the right-wing parties and form a government with the support of Citizens and VOX. Podemos is the party that broke the "two-party system" four years ago, but the left-wing party is currently undergoing a major internal crisis. Polls predict it will get between 33 and 41 seats. 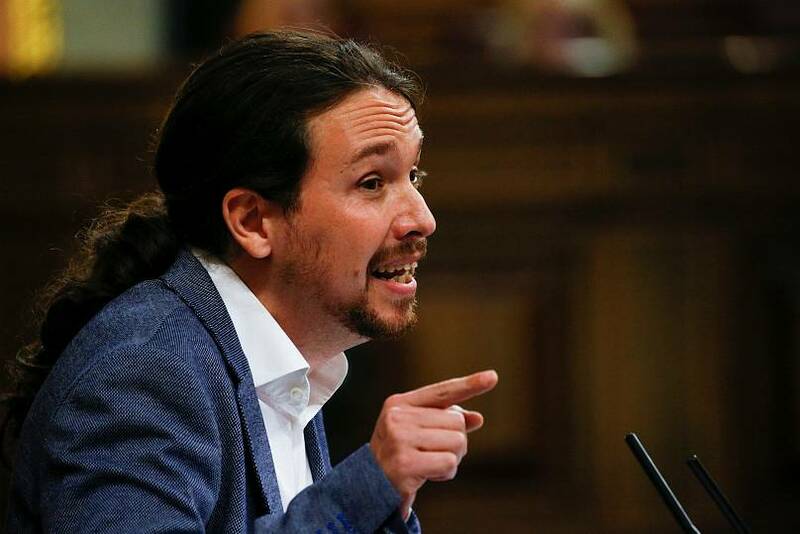 Pablo Iglesias has been on paternity leave and the media has not looked favourably on him in the last month. Key ideas: Podemos says it wants control to be taken back from the powerful and an end to corruption. The party positions itself as an enemy of banks, multinationals and wealthy businesspeople. It promises social development, a guaranteed basic universal income, and protection for vulnerable families. The party describes itself as pro-republic and feminist. Possible alliances: Podemos could join PSOE and pro-independence parties to form a government, but will not enter into any alliance with Citizens in it. Becoming bedfellow with PP and VOX is also out of the question. Citizens or "Ciudadanos" defines itself as "the party of the centre, progressive, and liberal" although its enemies PSOE and Podemos say it is right-wing. It is another party that wants to do away with the "two-party system", but respects the Constitution and doesn't have ideas as radical as those of Podemos. It was most the most voted-for party in the last elections in Catalonia, but it was not able to form a government in the face of an alliance of independentist parties. Polls give it a maximum of 42 to 51 seats. Main ideas: Citizens promise lower taxes and has voiced support for the working middle class and the self-employed. It backs a unified Spain and respect for the Constitution. Possible alliances: Ciudadanos could take home most votes of all the right-wing parties, in which case it will try to form a government with PP and VOX. It says it will not make a deal with the PSOE if it is led by Sanchez. 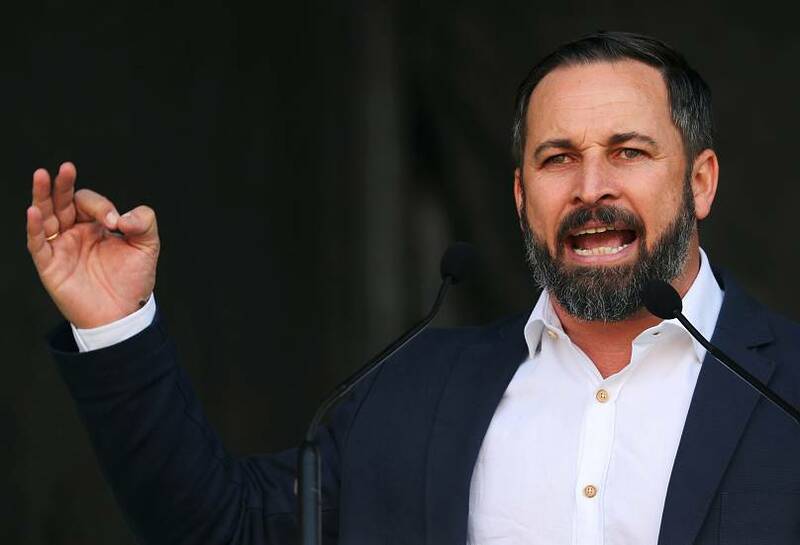 VOX has emerged as a popular choice in these elections, after success in the Andalusian elections when it agreed pledged to support a PP-Citizens government. The party communicates expertly with the electorate through social media. VOX could play a decisive role in the creation of a new government, with pollsters suggesting it might claim between 29 and 37 seats. Key ideas: VOX accuses the PP of being "cowardly", positioning itself as "the real right wing". It wants more authority and order in Spain. On the issue of immigration, it promises to expel all undocumented immigrants. VOX is against abortion and has opened important national debates on feminism, gender violence, and the possession of weapons. It supports the idea of “family and traditions". It is in favour of suspending autonomy in Catalonia. Possible alliances: It would be impossible to have a right-wing government without VOX.